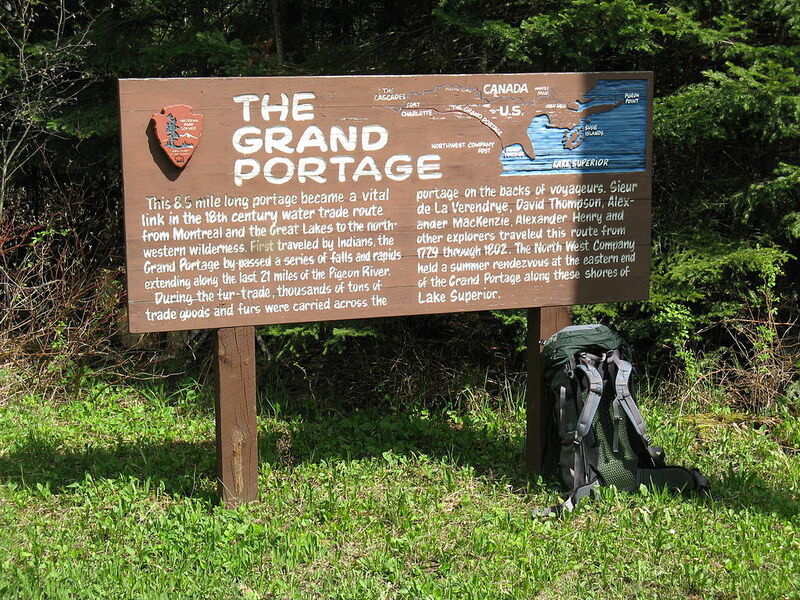 Voyageurs National Park is a United States National Park in northern Minnesota near the town of International Falls. It was established in 1975. The park’s name commemorates the voyageurs, French-Canadian fur traders who were the first European settlers to frequently travel through the area. The park is notable for its outstanding water resources and is popular with canoeists, kayakers, other boaters and fishermen. The Kabetogama Peninsula, which lies entirely within the park and makes up most of its land area, is accessible only by boat. 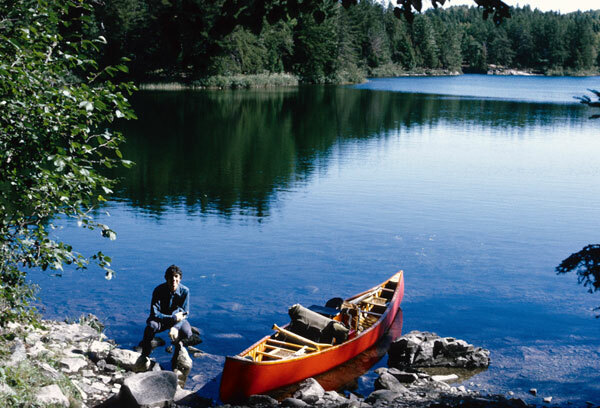 To the east of the National Park lies the Boundary Waters Canoe Area Wilderness. Explore the Lakes of the North Woods. Nearly 200 years ago voyageurs paddled birch bark canoes full of animal pelts and trade goods through this area on their way to Lake Athabaska, Canada. Today, people explore the park by houseboat, motorboat, canoe and kayak. Voyageurs is a water-based park where you must leave your car and take to the water to fully experience the lakes, islands and shorelines of the park. Water is the defining feature of Voyageurs National Park. The interconnected waterways provide recreational boaters with an unparalleled opportunity to explore the northwoods lake country. 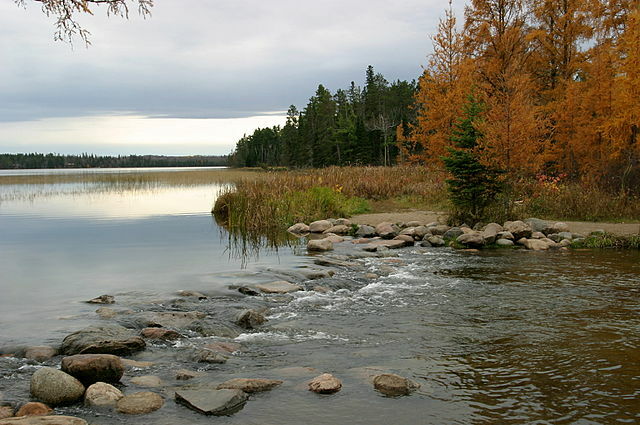 Voyageurs National Park adopted new measures in 2007 to protect the park’s interior lakes from spiny waterfleas. Click on the Management link or Nonnative Species link for more information. Forests cover the land, thriving on a thin layer of soil that has formed since the last glaciers melted around 10,000 years ago. Rocks that formed when the earth was young are exposed here. 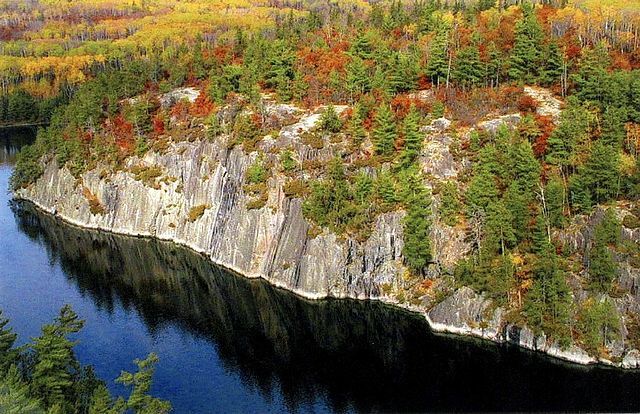 In Voyageurs National Park, you can touch some of the most ancient rock on earth and watch light reflect on the lake. The waters are blue during the long summer days and bright white when frozen beneath a blanket of snow in the winter. The distant howl of a wolf, the snap of branches as a white-tailed deer or black bear moves through the forest,sounds that remind us that although we are visitors here, Voyageurs is home to a rich variety of wildlife. The park has several boat ramps and visitor centers around its periphery, though the main body of the park is only accessible by boat or, in the winter, by snowmobile, ski, or snowshoe. The park hosts about 235,000 visitors per year. 114,000 acres (460 km2) of the park are intended to be wilderness by Sept. 30, 2006. The park was first proposed in April 1891 by the Minnesota Legislature in a resolution requesting that the president create a national park in Minnesota. It wasn’t until nearly eighty years later that federal legislation authorizing the creation of the park was signed into law by President Richard Nixon on January 8, 1971. 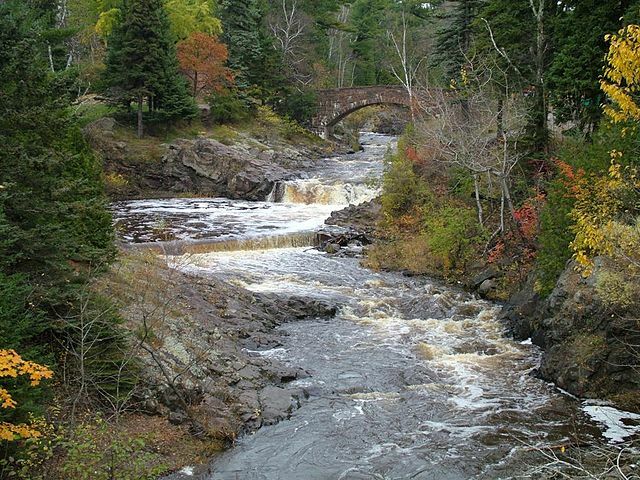 The largest city near Voyageurs National Park is International Falls, Minnesota. Early Fall in Voyageurs National ParkFour major lakes are contained in or border the park. Lake Kabetogama, Lake Namakan, Rainy Lake, Sand Point Lake, and Crane Lake. Of these, Namakan, Rainy and Sand Point lakes straddle the United States-Canada border. Lake Namakan and Sand Point Lake are accessible only by boat except in the winter. Lots of minor lakes dot the park, especially on the Kabetogama peninsula. Most popular of these are on the Locator Lakes trail. The major lakes in the park are home to Walleye, Northern pike, Smallmouth bass and Crappie. In the minor lakes that dot the park, Largemouth bass, Lake trout, Bluegill and other small sunfish and Yellow Perch are also found, although not every lake has every species. For example, Lake Trout are found primarily in Cruiser Lake north of Kettle Falls. Shoepack and Root (Little Shoepack) lakes in the center of the park’s peninsula are home to the Shoepack strain of Muskellunge, distinctly different from the Mississippi strain (or Leech Lake strain) found throughout southern Minnesota and Wisconsin. Lake Whitefish are also a popular quarry via sport netting in the fall when they move into shallow water to spawn. Kettle Falls is located between Lake Namakan and Rainy Lake, and is the location of the Kettle Falls Hotel. The hotel was constructed in 1910 by timber baron Ed Rose and operated as a hotel and resort to this day. It was placed on the National Register of Historic Places in 1976. Kettle Falls can only be reached by boat in the summer months and is one of the few places in the lower forty-eight states where you look South into Canada. 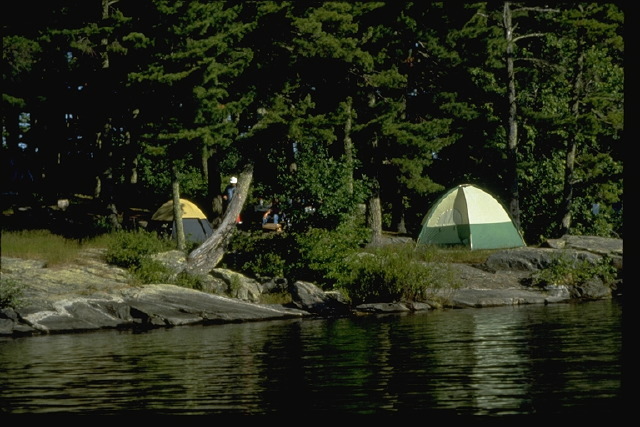 Campsites are maintained by the National Park Service and are accessible only by water. Sites are classified as tent, houseboat, or day-use sites; all are designated by signs. Tenters may not camp in houseboat sites or day-use sites. Maps showing the location of these sites are availble at the visitor centers. Permits are required for overnight stays. Permits can be obtained at any park visitor center or boat ramp. Public and private campgrounds, accessible by car, are located near the perimeter of the park.